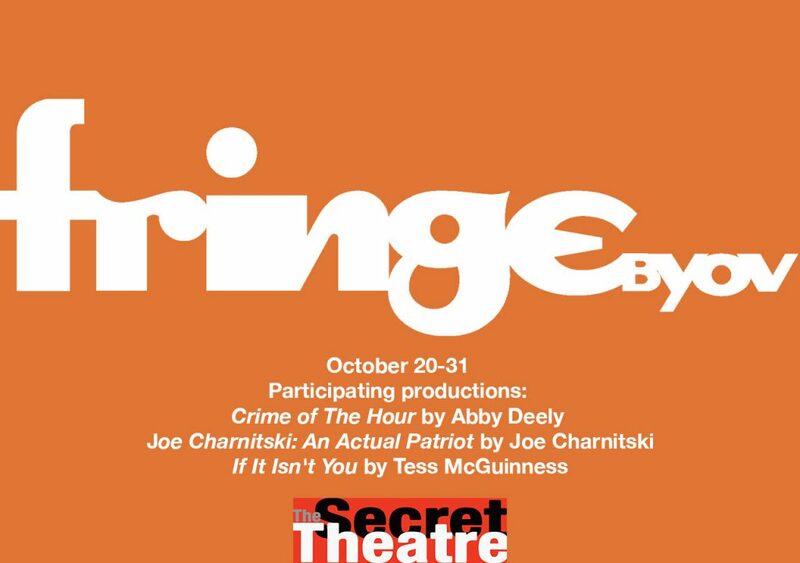 The New York International Fringe Festival returns in October of 2018 with both a FringeNYC and FringeBYOV segment. FringeBYOV (“Bring Your Own Venue”) is a new “open access” segment in the outer boroughs, and encompasses both existing Indie Venues with their own programming. One of the FringeQNS Indie Venues running this 2018 will be at The Secret Theatre. A true crime-themed improv show. The host reports the facts of a crime which improvisers use as inspiration to create original scenes. Every show covers a different crime to satisfy your bloodlust! Sophie’s first love was the piano, then it was Charlie. A temporal exploration of a college relationship, an honest confrontation with the “boy meets girl” trope that examines how perfect beginnings sometimes have disastrous ends. Joe Charnitski (2-time winner of The Moth StorySlam competition) has given two eulogies in his life. Both were for men named Joe Charnitski. These are their stories.